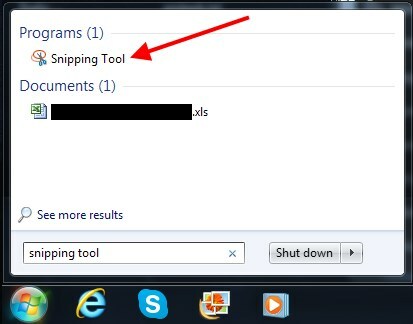 Capture Part of your Screen in Windows: Behold the Snipping Tool! Let’s say you need to capture all or part of your puter’s screen. You’d like to grab a quick image of your browser window, or maybe you want to capture a frame from a video playing on your puter. Maybe you want to save an image from a web page, but they’ve disabled the right-click menu. There are lots of ways to do this with fancy software. There are also much, much easier ways that you may not know about. The first is the “PrintScrn” trick. Press the Print Screen key on your keyboard (usually to the right of the F12 key, and usually abbreviated as PrtScrn or some other such thing). 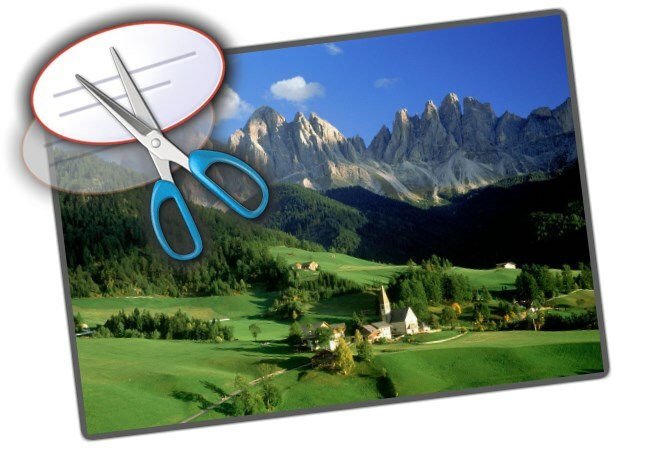 PrintScrn will copy your entire desktop – or both desktops if you have multiple monitors – onto the clipboard. On some keyboards, you’ll need to hold down the Shift key, and then press PrtScrn. All that’s left is to paste the captured image into Paint, Paint.Net, Photoshop Elements or whatever, and save it as an image. Okay, but that’s kind of involved… And there is a much easier way! 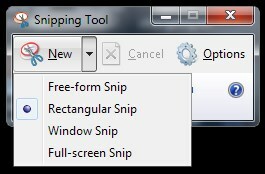 Starting with Windows Vista, Microsoft included a fabulous little tool called “Snipping Tool”. Unfortunately, they hid it far away from you so that you’d never find it, never learn to use it, and generally you’d have no idea it even existed. Which is lame. You’ll also have a mouse cursor that looks like crosshairs. Just click and drag to make a box around the content you want to capture from your screen. Note that you can draw on the captured image, or write some text. You can also use the Eraser to remove stuff you drew on the image. 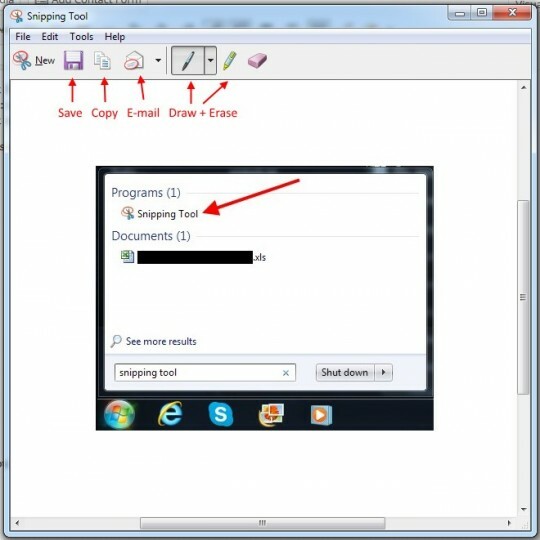 Furthermore, you can save the image to different formats, e-mail the image to a friend or whatever, and the image is automatically copied to the clipboard if you want to use it in some kind of paint software. And there you have it. 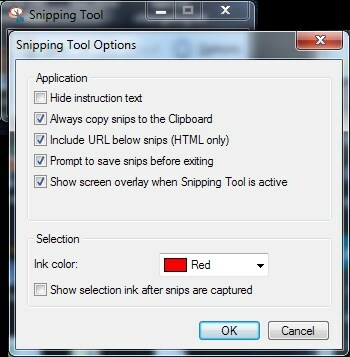 You can even change the ink color for drawing and annotating your captures. All that sassiness built right in to Windows, and I’ll bet you never even knew it was there! Great guide – I used Printscreen earlier, but now I’m using Clip2net – and think it is more convenient tool, if you need to get pics from your screen often.